TotalPond's Waterfall Foam Sealant is a one-component, polyurethane foam, moisture-cured mixture used to fill, seal, and bond rocks for waterfall construction. It expands 2 to 3 times the extruded bead and adheres to many surfaces. Available at The Home Depot. 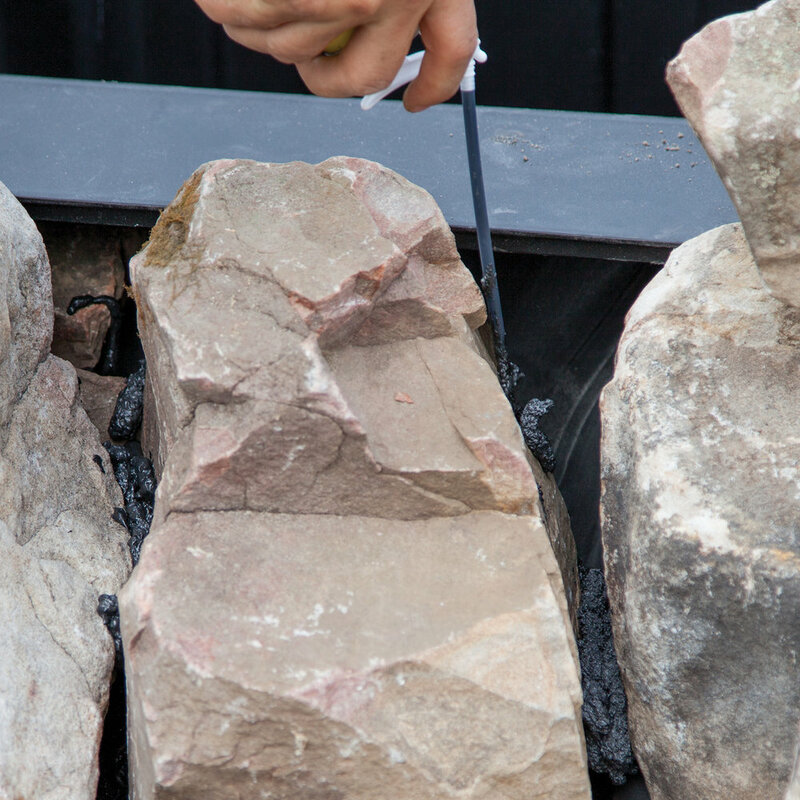 Waterfall Foam Sealant is a single-component polyurethane black foam that fills gaps and ensures efficient water flow over rocks. The foam adheres to most surfaces except: teflon, silicone, polyethylene, and other similar materials. Waterfall Foam Sealant takes approximately 5 minutes for the outer shell to dry tack-free; Compound fully cures in 12 to 24 hours. The 12 oz. can includes a nozzle tip applicator. Before using this product, make sure all surfaces the sealant will be applied to are completely dry; allow the product at least 48 hour to dry before getting it wet. When used in accordance with the instructions, this product is safe for fish and plants.